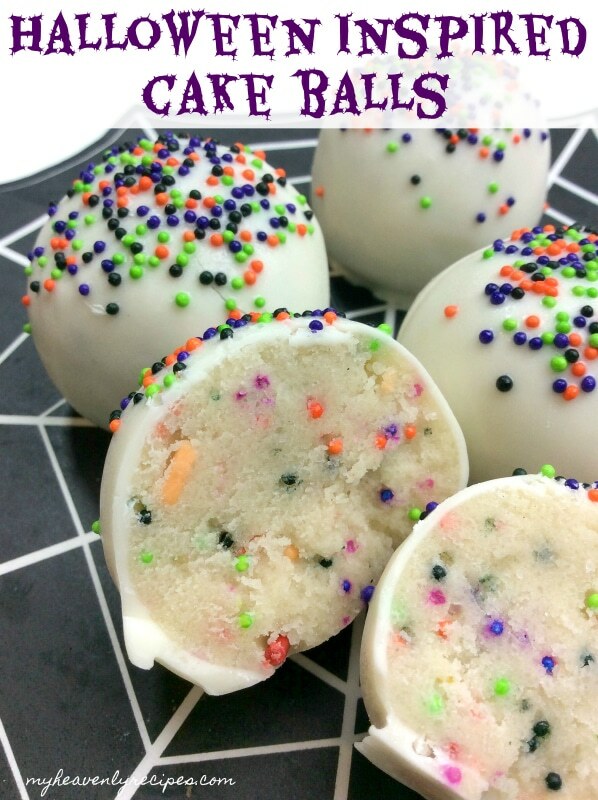 Let the kids in the kitchen to create their very own cake balls! It’s a LOT of fun and they’ll talk about it for DAYS! Halloween is our probably our all time favorite holiday. One reason is because it’s also Bubby’s birthday and we just love fall in general. I also love the thought behind Christmas, but, I don’t like all the hype and what not that comes with it. Halloween is more fun, light hearted and not stressful! We can all use less stress in our lives, right? In a large mixing bowl, add the cake mix, sugar, flour and vanilla. Cut the butter into cubes and add into the same bowl using a fork or your fingers, work the mixture into a cookie dough texture. 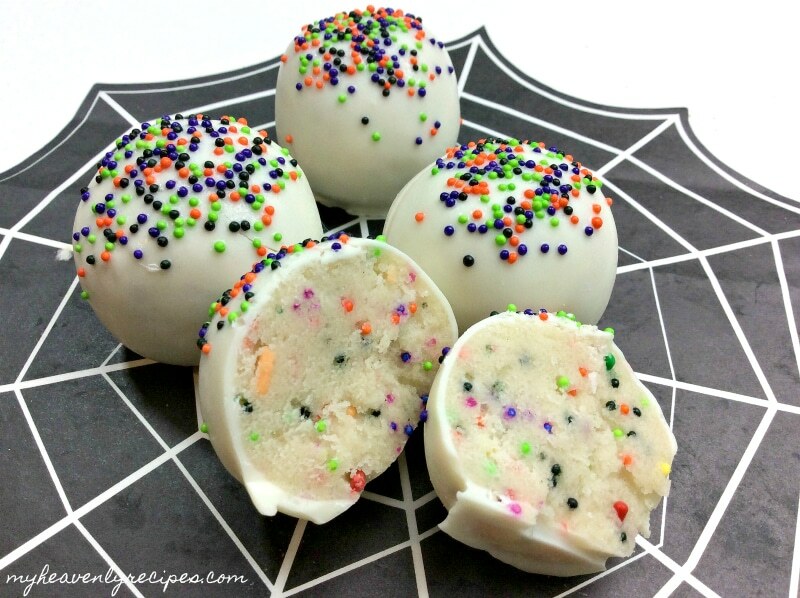 Add the Halloween sprinkles and mix until combined. 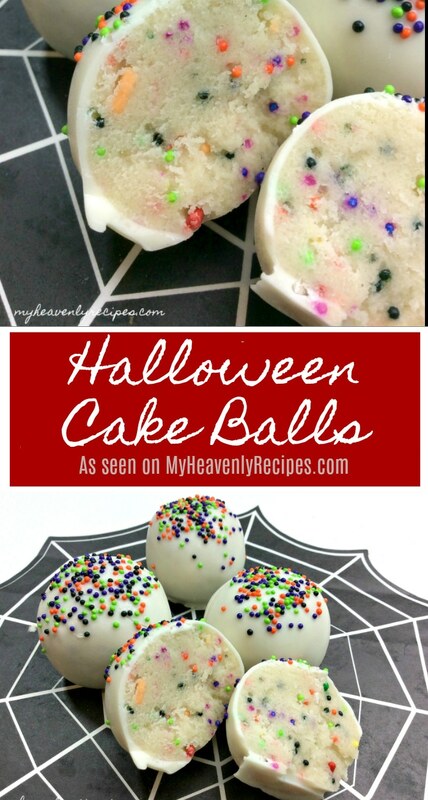 Using a small cookie scooper, scoop some dough and using your hands, roll into balls repeat steps until all dough is gone. Dip the dough ball into the chocolate. If you are finding the dough to be to soft, place in freezer for 10 minutes to harden and easier to work with. Sprinkle top with sprinkles and place into the fridge for 15 minutes.